Wildcrafters forage for plants in the wild and hopefully harvest them with an eye towards sustainability. This means getting to know the plant’s needs well, so that harvesting is conducted in a way that promotes survival of the population. Responsible wildcrafters avoid endangered or threatened species, limit their quantities of all other species, and often aid in propagation so as not to deplete the species or harm the ecosystem. Wildcrafting is practiced by herbalists around the world, independent workers, and often by tribal communities. It’s an important source of income for many indigenous people and small, family-owned businesses and when done in an ethical way, plant species are not harmed. Sadly, rising demand for rare essential oils has led to larger-scale harvest and production, often at the cost of precious wild populations. 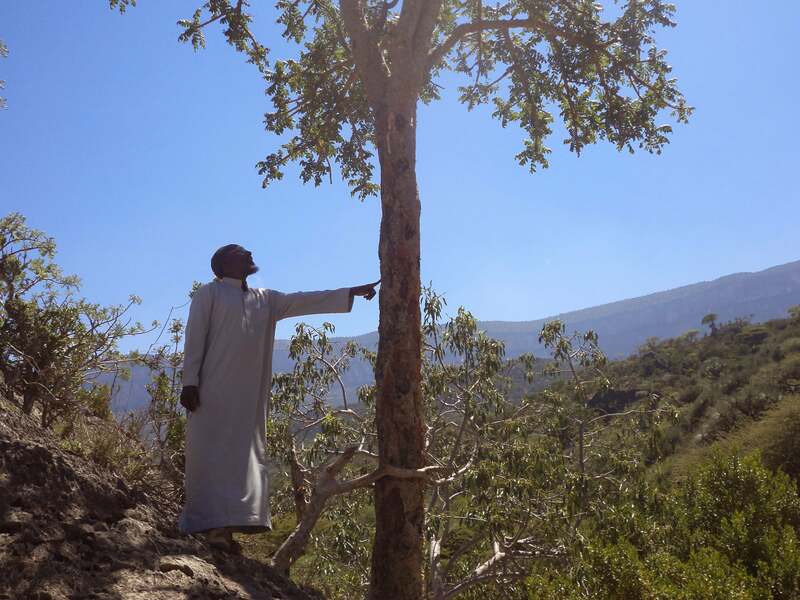 Boswellia sacra, known as “Sacred Frankincense”, grows in Somalia, Yemen and Oman and it does smell divine. As you may know, resins of several species of Frankincense have been used over the millennia as incense to sanctify a space for spiritual activity and meditation. This species of Frankincense is currently listed as “near threatened” so it’s time to stop supporting further decimation of this population. Fortunately there are a few other varieties of Frankincense that yield essential oil and are stronger in number. 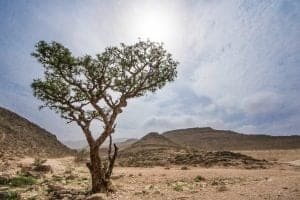 We offer a Wildcrafted Frankincense essential oil of Boswellia carterii from Somalia; Boswellia carterii is not currently listed on the IUCN Red List. As with all wildcrafted essential oils, we recommend that you use it sparingly and treat it as the treasure it truly is so that we don’t see it join Sacred Frankincense as a species at risk. Photo at top shows one of the local wildcrafters / harvesters in Somaliland. Rosewood, with its soft floral fragrance and skin nourishing properties, is another essential oil that has been very popular in aromatherapy for many years. Unfortunately, it is currently listed as “endangered” on the IUCN Red List and purchasing the wildcrafted essential oil will only contribute to its extinction. The beautiful Rosewood essential oil we carry is not wildcrafted; rather, it’s sustainably farmed by a small distiller in Brazil who plants ten trees for every tree harvested on their tree farm. If we had been unable to locate a sustainable source, we would not be offering this essential oil. 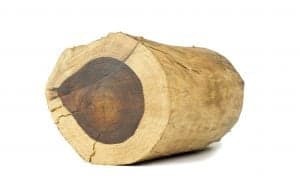 For centuries, India’s famed Santalum album tree had provided us with the classic Sandalwood traditionally used for carving furniture and ornaments, burned as incense, and used as an essential oil in perfumery and aromatherapy. Because the best oil comes from the tree’s heartwood, it can only be extracted from mature trees of at least 25 years of age. Due to this, the population of Sandalwood trees in India has thinned rapidly in recent times, despite vigorous attempts by the government to regulate its harvesting. It is now listed by the IUCN as “vulnerable.” Of equal concern are reports that regulation of the Sandalwood industry has led to growth of a strong black market and serious human rights abuses on the part of poachers who are said to have terrorized, threatened and even murdered uncooperative villagers in some districts. While some companies continue to sell the essential oil of Santalum album from India, the Sandalwood trade there has reportedly become so corrupt that there is reason to suspect adulteration of much of what is being sold. 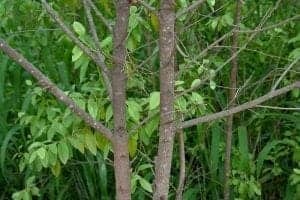 We were sad to give up our beloved Indian Sandalwood essential oil, but we don’t want to contribute to continued decimation of this species, or to human rights abuses, so we now source our Sandalwood essential oil from a different species, Santalum spicatum, which is grown in Australia. The distiller who produces our Sandalwood essential oil is one of our long-time, trusted sources. They cultivate it on a small farm and plant more trees than they harvest. Many aromatherapy enthusiasts prefer the energy of Wildcrafted essential oils because they’re organic – uncultivated, grown wild, they come straight from the source. We happen to agree – but the effect is certainly tainted once you learn that your supplier is not attuned to environmental and human rights issues. Never before have essential oils been so high in demand and so widely produced. It is our responsibility as ecologically-aware consumers to do all we can to mitigate the consequences of their production. If you’re searching for wildcrafted herbs from which to distill your own essential oils, make use of this list put together by Rosalee De la Foret (Thank you!) of responsible herb farmers and wildcrafters in the United States. Thank u for sharing your awareness and mindfulness. I’ll do the same. I am so grateful for Artisan Aromatics products and your ecological awareness. Thank You for creating products with a conscience. I will be sure to share this article with others in hopes that they can stop supporting the endangerment of these beautiful trees as well as the black market corruption of sandalwood.